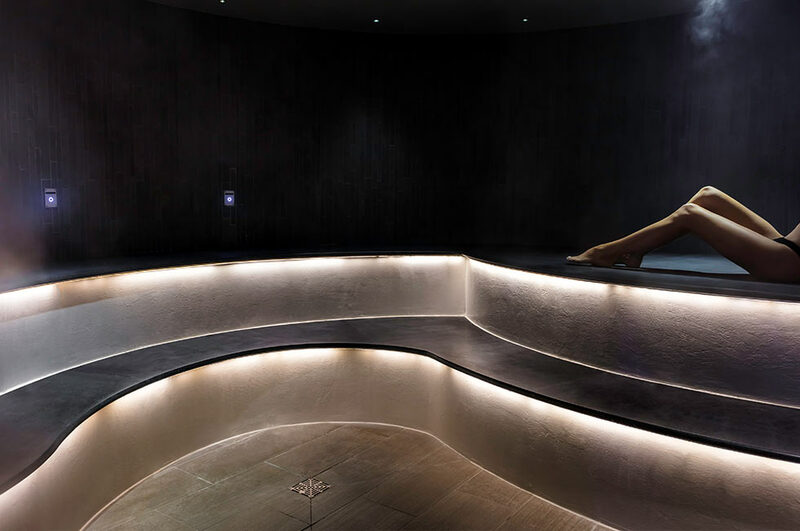 Our standout thermal suite and hydrotherapy pool sits at the heart of everything we do. 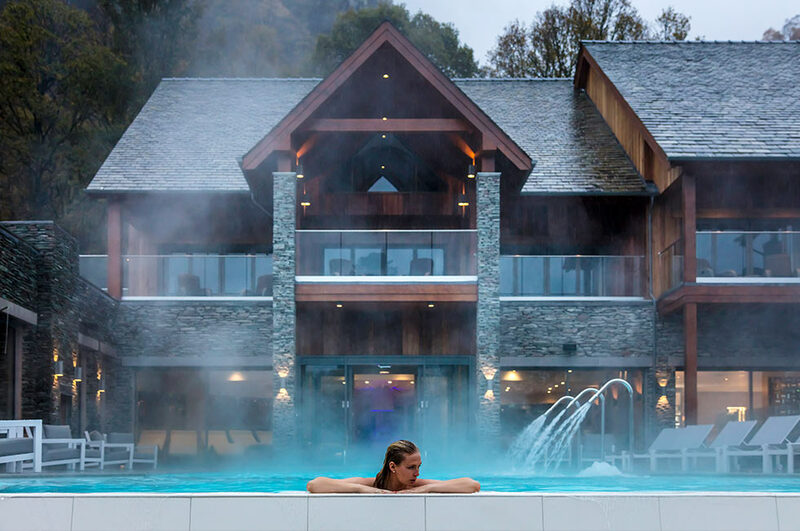 With a myriad of twelve differing heat experiences, we introduce the finest thermal therapies and bring them to the inimitable beauty of the Lake District. Five luxury treatment rooms and a private Rasul chamber offer sublime rituals and pampering treatments from Elemis and La Sultane de Saba. Our thermal suite fuses elements from Scandinavian, Arabian, Turkish, and Japanese spa cultures to soothe, relax and detoxify your body. Thermotherapy is particularly effective on aching joints and muscles and is a wonderful way to deep cleanse skin and stimulate circulation. 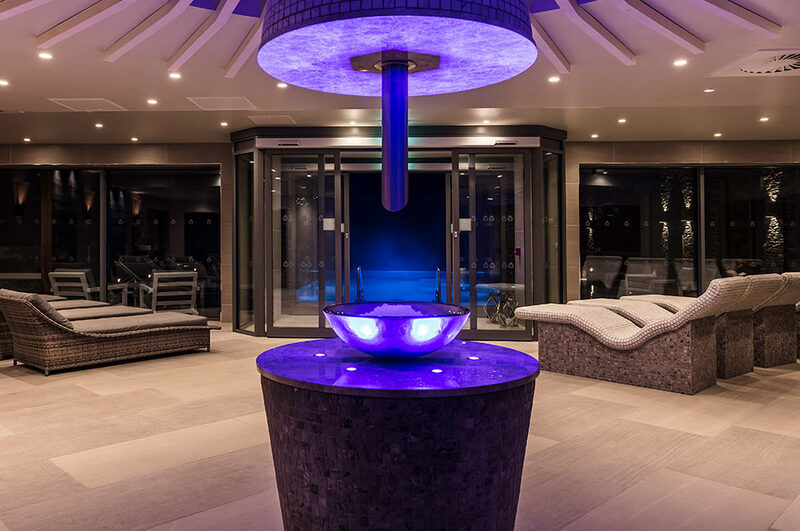 We have a total of five thermal ‘rooms’ in our extensive suite which span laconium, aroma steam room, herbal sauna, Finnish sauna and salt steam room, plus a refreshing ice fountain. 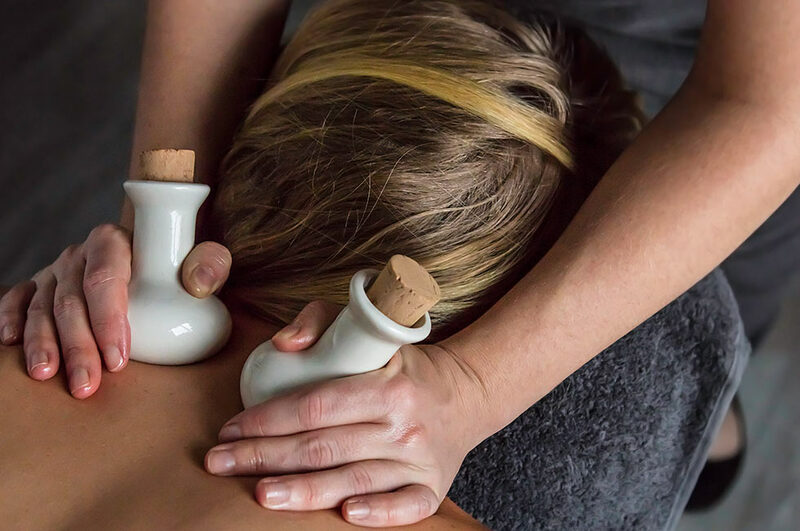 With its origins steeped in Greek spa history (halo translates as salt in Greek) ‘halotherapy’/ salt therapy is particularly beneficial to the respiratory system. 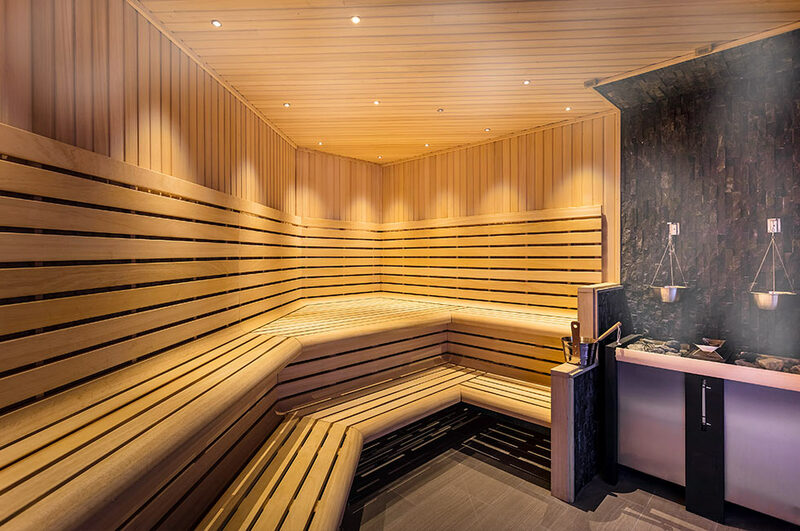 Heated to a mild temperature, relax and inhale the therapeutic steam. 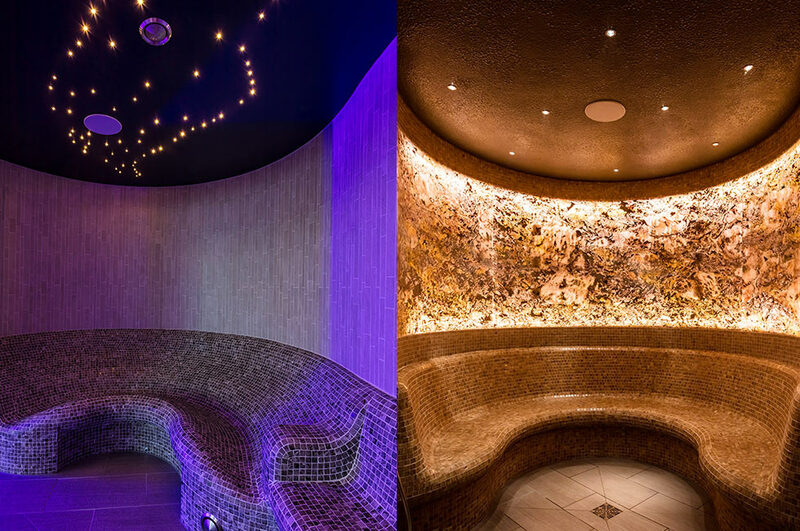 The wet heat in an aroma steam room is wonderfully invigorating to both tired muscles and an overactive mind. Relax as the scent of restorative, relaxing and energizing essential oils permeates the steamy air. The dry heat from a traditional sauna is infused with soothing, calming or invigorating herbs such as peppermint, eucalyptus, clary sage, lavender and chamomile. Down fast post sauna or steam under this super restorative ice fountain. The perfect icy tonic to bring your body temperature down, boost circulation and stimulate your senses. 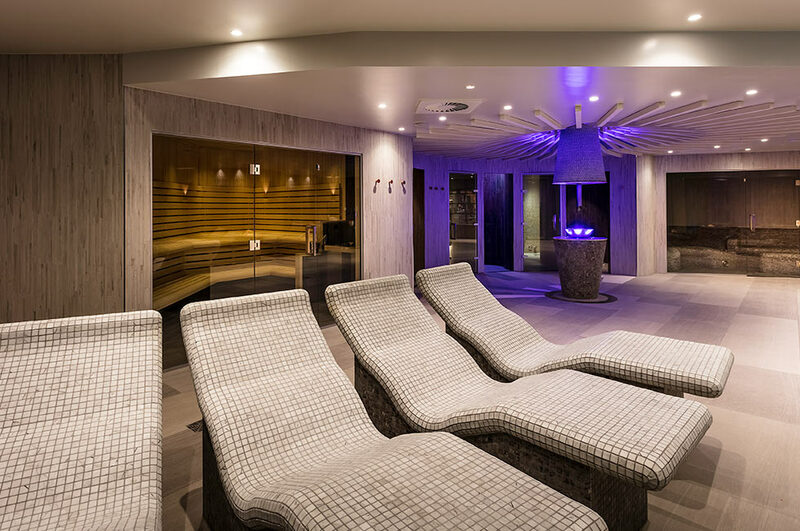 Layered with underwater bubble loungers and hydromassage neck jets, the 16-metre hydrotherapy pool is the ultimate space for some restorative downtime. 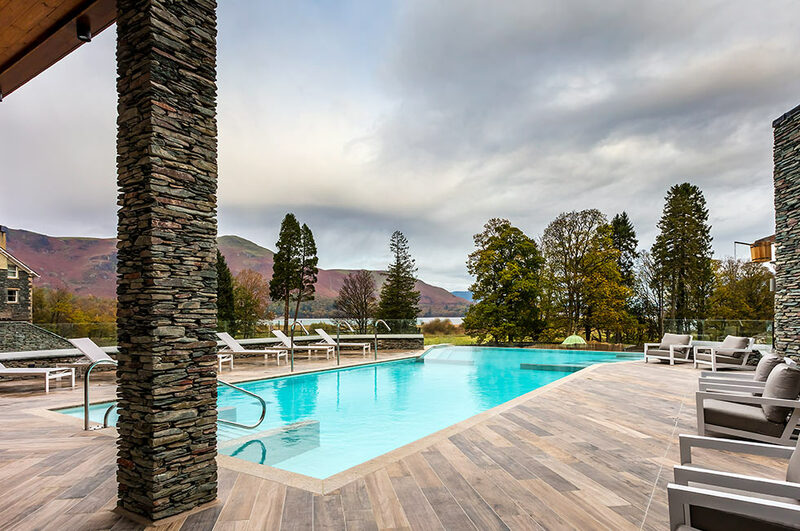 Relax in the interconnecting infinity edge hot tub with a glass of something chilled and look out to the spectacular views of Derwentwater and the Catbells mountains. Take a seat in the glass-fronted Finnish sauna before alternating invigorating cold-drench buckets with hot showers on the open-air poolside terrace. It’s the ultimate outdoor hydro/heat experience. Our rasul room is a blissful holistic haven that will transport you to exotic climes, soothe your mind, boost your circulation and ease muscle tension. This restorative ancient Arabic ritual fuses the power of mineral-rich mud with heat and steam to treat the hair, face and body. Our Spa Hosts will guide you through this self-application four-step restorative ritual. Start with a black soap cleanse, followed by a exfoliation with a traditional kessa mitt. Then move on to enjoy the therapeutic benefits of rasul lava clay infused with orange and rose waters. Finish your rasul experience with the application of nourishing shea butter oils. Enjoy the ritual with a friend or partner, or a group of four. Our rasul also uses light and sound for a multi-sensory experience. 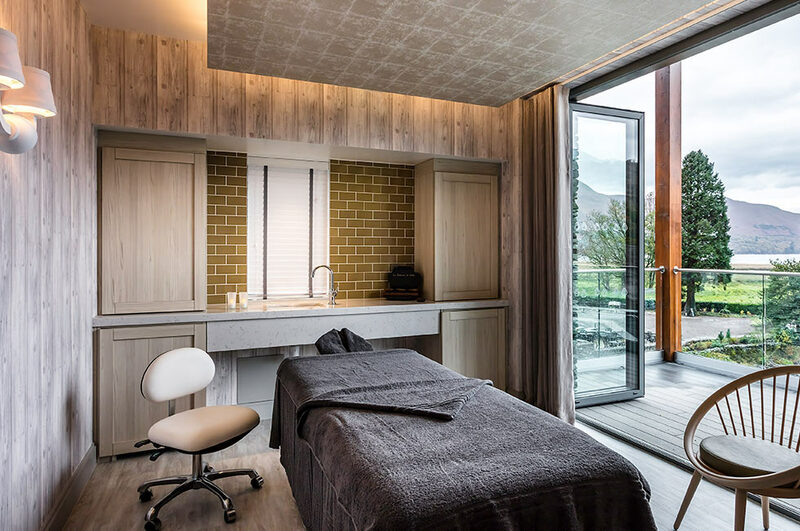 Echoing our ‘inside/outside’ spa concept, our treatment rooms are decked out in natural finishes and textures. Marble, timber and stone floors, walls and fittings, a muted colour palette and accents of earthy green encourage restful downtime. Our post-treatment relaxation space. Flop on one of the cloud-like day beds and sip a soothing herbal tea or glass of fruit-infused water. With mellow music, magazine library and mesmeric views of Derwentwater, it’s a space that’s good for the soul. 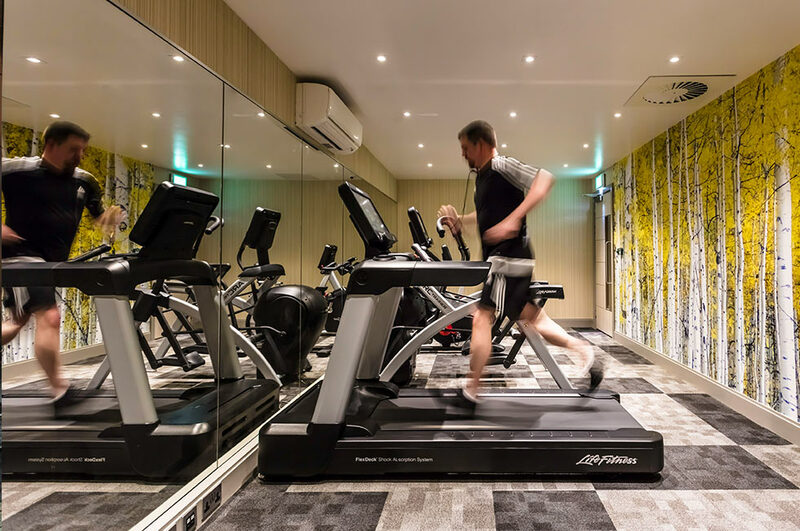 Our small but perfectly formed fitness studio helps you stay on top of your fitness game.